Posted in Uncategorized | Comments Off on THE NOMINEES ARE…. Congratulations to my coworkers at FOX 26 news. A long list of them have been nominated as finalists in the annual Houston Press Club Lone Star Awards. The organization recognizes the work of those in the news biz for journalistic excellence. 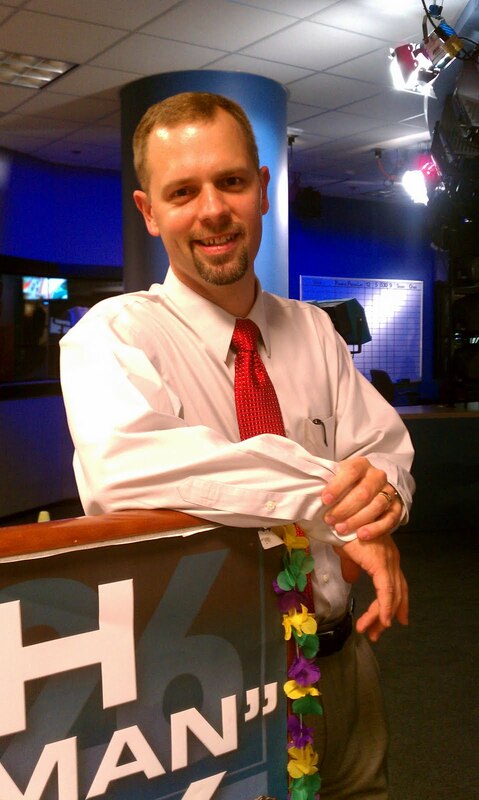 On the list of nominees is FOX’s own weather guy John Dawson. However, John wanted to make it clear he’s being nominated for his producing skills this time. The nod is for Dawson’s work on the web based hurricane briefings on www.myfoxhouston.com. Here’s a list of all the nominees from KRIV TV. Good luck guys! SALLY MACDONALD BACK ON THE JOB AT FOX 26! 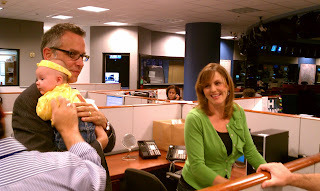 Posted in Uncategorized | Comments Off on SALLY MACDONALD BACK ON THE JOB AT FOX 26! FOX reporter Ruben Dominguez with Sally MacDonald! If you haven’t noticed in the last two weeks there is a familiar face back on FOX 26 news. Reporter Sally MacDonald return back to the small screen after some time off. MacDonald had her first first baby. She and husband Brandon Martin now have a little girl in the house. 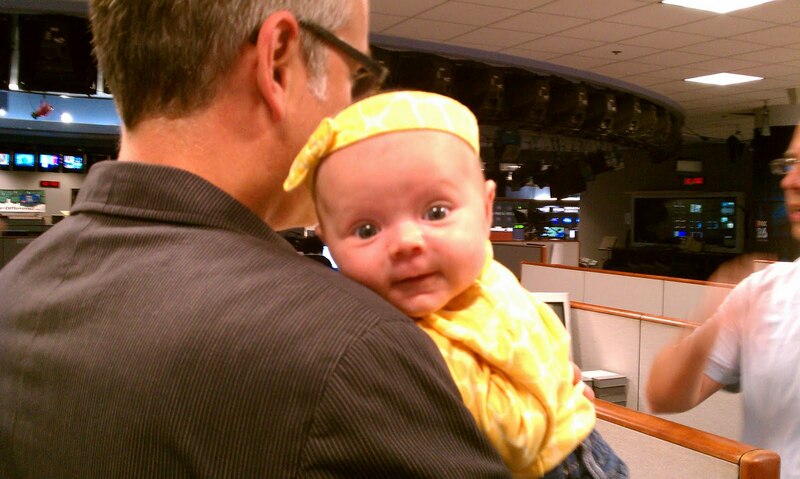 She’s Jenna and she even dropped by the KRIV newsroom. If you see Sally or Brandon out and about tell them congratulations! THE NEW CONTROVERSIAL R. KELLY BOOK NOW AVAILABLE ONLINE! Posted in Uncategorized | Comments Off on THE NEW CONTROVERSIAL R. KELLY BOOK NOW AVAILABLE ONLINE! You saw it first on FOX 26 news. Now read the full tell all R. Kelly book. It can be bought online. Just click the Amazon link and go get it. 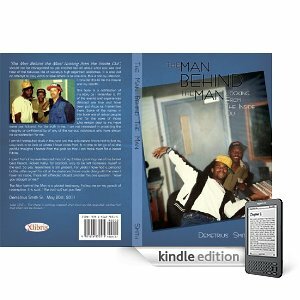 Search for ‘The Man Behind the Man’ by Demetrius Smith or Book Tawk Publishing. Download it to your tab or Ipad or Kindle! ALLEGATION: HE SOLD FAKE ROLEX WATCHES AND PURSES TO AN UNDERCOVER COP! Posted in Uncategorized | Comments Off on ALLEGATION: HE SOLD FAKE ROLEX WATCHES AND PURSES TO AN UNDERCOVER COP! 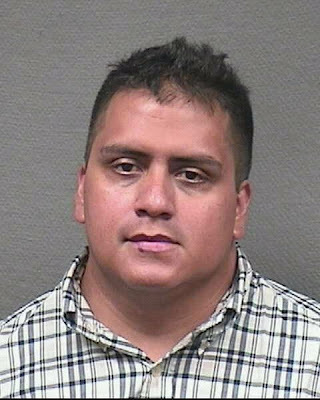 A Houston man is behind bars after making a big sale to an undercover HPD officer. That man is identified as Oscar Bravo. Investigators say Bravo was approached by a Houston cop who wanted to buy two Rolex watches and a fake name brand purse. When the deal went down Bravo allegedly told the cop he could get him 20 more watches and 15 purses. HPD spokesman John Cannon says when Bravo returned with the additional merchandise he was arrested and charged with trademark counterfeiting. He remains behind bars in the Harris County jail. CONGRATULATIONS MARY BENTON OF KPRC TV! 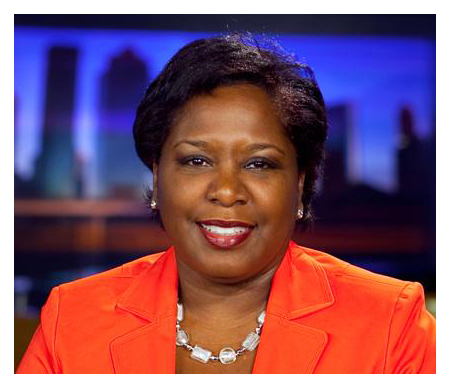 Posted in Uncategorized | Comments Off on CONGRATULATIONS MARY BENTON OF KPRC TV! A special discount offer to purchase company tables and tickets expires May 30. Ticket prices at start at $250 and table packages at $1,100. Click here or contact Ed Davis for more information. OPRAH MAKES A KILLING FROM HER FINAL SHOW! 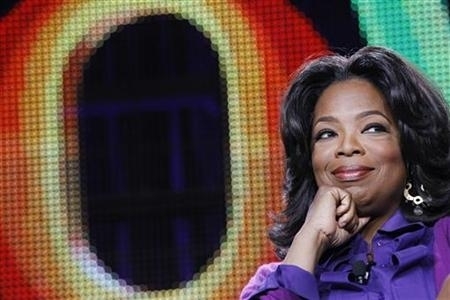 Posted in Uncategorized | Comments Off on OPRAH MAKES A KILLING FROM HER FINAL SHOW! It’s guaranteed to be one of the most watched shows in TV history, and if you want to buy a piece of Oprah, it will cost you. The Oprah Winfrey Show is charging a whopping $1 million for a 30-second commercial on it’s big finale show on Wednesday, May 25th. The $1 million price tag is nearly 18 times more than the show’s recent asking price of $57,400, as reported by Nielsen earlier in the season. While the Superbowl remains the most expensive TV show to advertise on (it cost $3 million for a 30-second spot on the last Superbowl), among regularly-scheduled TV shows, the 2004 series finale of Friends is STILL the most expensive — it cost $2 million for a 30-second commercial. After Friends, the Seinfeld finale in 1998 cost $1.4M per 30-second commercial, while the finale for Everybody Loves Raymond in 2005 cost $1.2M per spot. As for who will be the guests on Oprah’s finale show — she’s keeping it a closely guarded secret. RAPPER BABY J OUT REPRESENTING HOUSTON ON THE EAST COAST! Posted in Uncategorized | Comments Off on RAPPER BABY J OUT REPRESENTING HOUSTON ON THE EAST COAST! 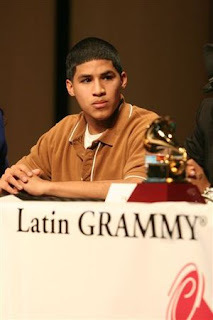 On May 23, 2011 Houston rap artist Baby Jay, in collaboration with Operation Respect, returned to NYC for his 9th tour of NYC Schools! On January 2011, by popular demand Baby Jay completed his 8th New York school tour along with his debut college performance at DartMouth College and debut performance at Houston’s House of Blues! Baby Jay, also known as Jonathan Gutierrez from Houston, Texas, is a Youth Education Ambassador for Operation Respect, a non-profit organization, co-founded by Peter Yarrow, of Peter, Paul and Mary, that is dedicated to creating safe, compassionate and respectful environments for children and youth. Operation Respect is working to address the disturbing trend of violence and bullying in schools throughout the country and internationally. In 2006, Baby Jay was the first young rap artist to address the issue of bullying in schools in a positive rap and hip hop song and video, spreading a message of hope, unity and encouragement for the youth of today. Since Baby Jay’s appearance on the PBS Special, “A Tribute to the Teachers of America,” his recorded performance of “Don’t Laugh At Me” on DVD has been disseminated to thousands of schools throughout America. Baby Jay is the first and youngest rapper to receive the key to the city of Houston and three official city proclamations. He has been officially inducted into the Latin Grammy’s tour bus exhibit along with other top Latin acts and has received media coverage for his positive and encouraging work in schools. 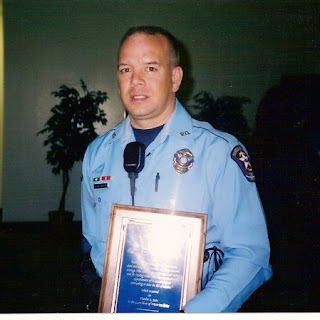 SOURCES: RICE UNIVERSITY POLICE OFFICER FIRED FOR TRYING TO ASSIST HOUSTON COPS! Posted in Uncategorized | Comments Off on SOURCES: RICE UNIVERSITY POLICE OFFICER FIRED FOR TRYING TO ASSIST HOUSTON COPS! The Insite has learned a Rice University police officer has been fired after reportedly trying to help his fellow brothers in blue. That officer has been identified as David Sedmak. It was back on May 7th when two Houston police officers found themselves in a shootout with a suspect at the downtown Greyhound bus station. After one of the HPD cops was shot another officer got on the police radio and called for back up. Sources tell the Insite Rice University police officer David Sedmak was on duty near the school and decided to respond and drove to the scene downtown. We now know two Houston cops were shot but survived. The gunman, according to the police department, took his own life. So what happened to officer Sedmak after the incident that lead every newscast in town? He was fired by the Rice University Police Department. Hunt says what officer Sedmak did is an example of what Mayor Annise Parker called for when she ran for office back in 2009. It was during the campaign when Parker indicated she wanted law enforcement officers in the Houston area to work together because of a shortage of HPD officers. Some say it appears Rice may not be interested in that citywide collaboration when it comes to officers backing up their brothers in blue. UPDATE: Rice spokesman B.J. Almond sent the Insite an email insisting Officer Sedmak was fired for leaving his post and not assisting HPD cops. Almond also says the record reflects there is cooperation between the Rice Police Department and HPD. MICHAEL BERRY EXPANDING HIS AUDIENCE AROUND THE COUNTRY! Posted in Uncategorized | Comments Off on MICHAEL BERRY EXPANDING HIS AUDIENCE AROUND THE COUNTRY! It’s like witnessing quiet success as it happens. That’s how I describe watching Houston talk show host Michael Berry as he picks up more radio stations across the country. We all know he’s on the air on at least two radio stations right here in Houston. But did you know he’s gone nationwide or at least almost nationwide. Berry’s controversial approach to political and social issues can now be heard in several cities outside of Houston. The one I’m most excited about is Berry’s arrival on my hometown radio station in Baton Rouge, Louisiana. His show is now airing from 5 pm to 8 pm on WJBO AM. 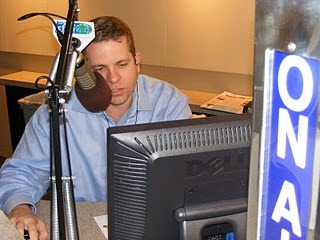 Berry can also be heard on stations in San Antonio and Portland, Oregon. Way to go Berry! 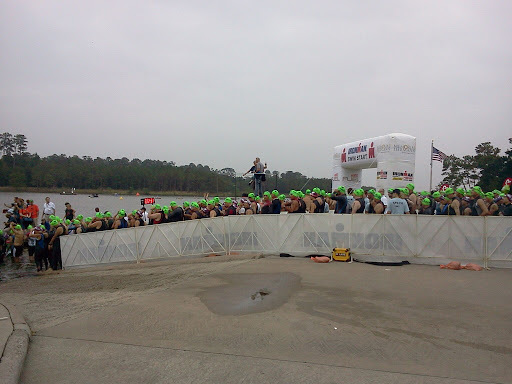 THE TEXAS IRONMAN COMPETITION IN THE WOODLANDS! Posted in Uncategorized | Comments Off on THE TEXAS IRONMAN COMPETITION IN THE WOODLANDS! Thousands of people packed into the Woodloands over the weekend for the Texas Ironman competition. The big event attracted dozens of athletes from all over the world including Japan and Mexico. My hat goes off to the participants who spent from 6 am to midnight competing in the Saturday sports event. So what did they have to do? Here’s a description that will just make you tired reading it: Athletes will begin with a 2.4-mile swim in Lake Woodlands. Next is a 112-mile bike course that will take participants west through the scenic, rolling farmland of east Texas. The day ends with a 26.2-mile run course entirely within The Woodlands that concludes with a spectacular finish on Market Street. Congratulations to those who competed and completed the grueling challenge! THE TEXAS IRONMAN COMPETITION BEGINS! Posted in Uncategorized | Comments Off on THE TEXAS IRONMAN COMPETITION BEGINS! Athletes from all over lined up early Saturday morning for the kick off of the Texas Ironman competition in The Woodlands. The event will run from 7am until midnight. Fox 26 executive assistant Susan Sullivan is volunteering and that’s why the Insite is on the ground. Stay tuned! THIS IRISH TOWN LOVES PRESIDENT OBAMA! Posted in Uncategorized | Comments Off on THIS IRISH TOWN LOVES PRESIDENT OBAMA!